Experience pain relief today. Chiropractic is widely recognized as one of the safest, drug-free, non-invasive therapies for the treatment of many conditions. At Kirkman Chiropractic, we have a deep respect for the human body’s ability to heal itself without the use of surgery or medication. Dr. Grossman will use specific adjustments or manipulations to the joints of the spine and musculoskeletal system. These highly skilled treatments are considered extremely safe and effective. These adjustments allow your body to heal itself allowing for pain relief and lasting wellness. We accept most major medical insurance, Medicare, and Medicaid. 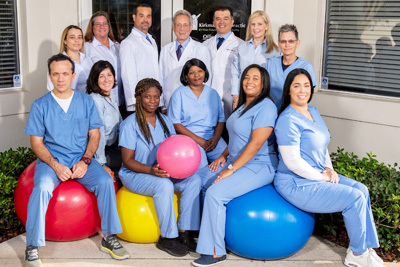 Many patients come to our office after experiencing an injury that has caused lasting pain. The first thing we do is schedule a consultation. We will establish a customized treatment plan to first get you the pain relief you need and a long term plan to heal the underlying cause of your pain. It’s Your Future… Be there HEALTHY! Kirkman Chiropractic is located just south of Colonial Drive on the corner of Kirkman Road and Washington Street.